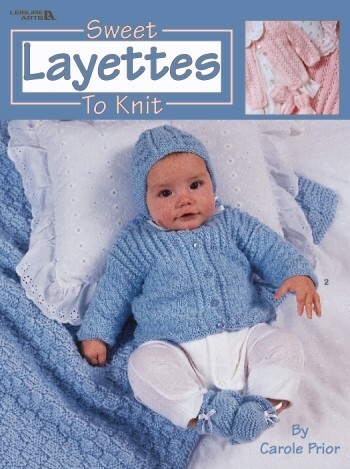 Baby will stay nice and warm in these soft knit layettes. Each of the 4 sets has 4 pieces: a baby afghan knit using 2 strands of worsted weight yarn, plus a sport weight sacque, bonnet, and booties. Lots of different stitches create the pretty patterns. Softcover � 20 pages.